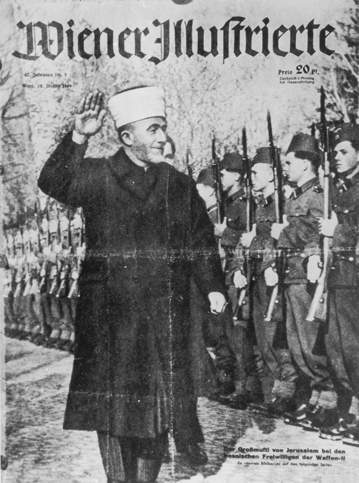 Jewish organization applauds both The Los Angeles Holocaust Museum and the California State University for recognizing the Farhud, an event that was the culmination of the Hitler-Arab Axis to destroy the Iraqi Jews. Two California Holocaust organizations have jointly announced that henceforth they will recognize Âthe FarhudÂ against Iraqi Jewry as a Holocaust-era pogrom that needs to be taught in future Holocaust and genocidal education programs and be explored in Holocaust museum exhibits, noted Shelomo Alfassa, executive director of the International Society for Sephardic Progress. The two California institutions taking the lead in recognizing the Farhud are the State of California Center for Excellence on the Study of the Holocaust, Genocide, Human Rights, and Tolerance and the Los Angeles Museum of the Holocaust. The two organizations made their joint announcement January 21, 2005 at the Los Angeles Museum of the Holocaust in press conference supported by other institutions across the country, called upon all Holocaust educators and museums worldwide to do likewise. Memory of the Farhud was resurrected by the recent award-winning book 'Banking on Baghdad' by Edwin Black, and by his many associated articles and lectures around the country. The result was the Farhud Recognition Project launched by Sephardic Jewish groups and Holocaust organizations. In the coming week, Black will speak on the Farhud at an Iraqi Jewish synagogue in Los Angeles, as well as other Jewish congregations and university campuses in California, and the nationÂs largest Holocaust museum, the Detroit Holocaust Memorial Center. ÂWe are grateful to Edwin Black for telling the world what happened to this important Jewish community, and for documenting how HitlerÂs Holocaust was not confined to Europe but was intended as a world war against the Jews,Â stated Alfassa. He continued, ÂAfter nearly 65 years, this forgotten event of the Holocaust which enveloped the Jewish people, will nowÂfinallyÂbe recognized and studied,Â added Alfassa. The ISFSP welcomes the statement of the two California based institutions, and looks forward to other organizations and institutions coming forward to do the same and join the Farhud Recognition Project. Persons wanting to learn more about the Farhud can visit the Farhud Recognition Project at http://www.farhud.org or BlackÂs website at http://www.bankingonbaghdad.com.